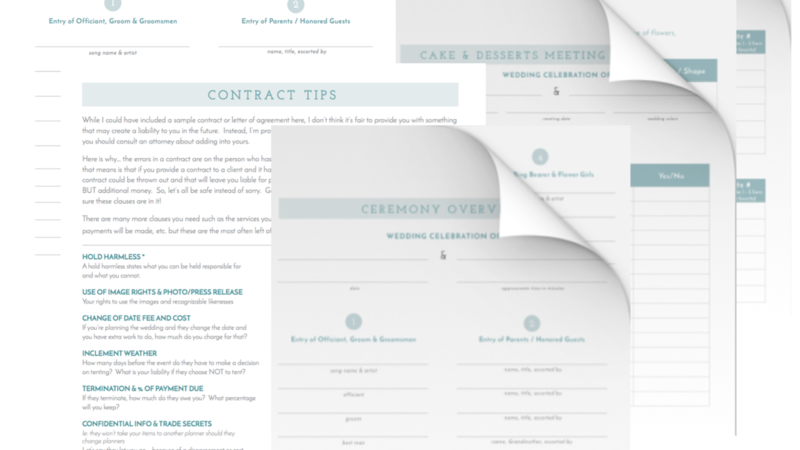 How to Become an Event Coordinator - Start with Forms! When I first started my business in 1995, I had no idea how to become an event coordinator - I had zero ideas what I was doing or how to do it and I couldn't find a single person to fill me in on the right steps to take. But I didn't give up, I forged a path for myself and have done very well in the process. In fact, we created a really easy way to work with clients to create their events that are efficient and effective and has allowed me to have weekends to myself when I'm not planning fabulous weddings.